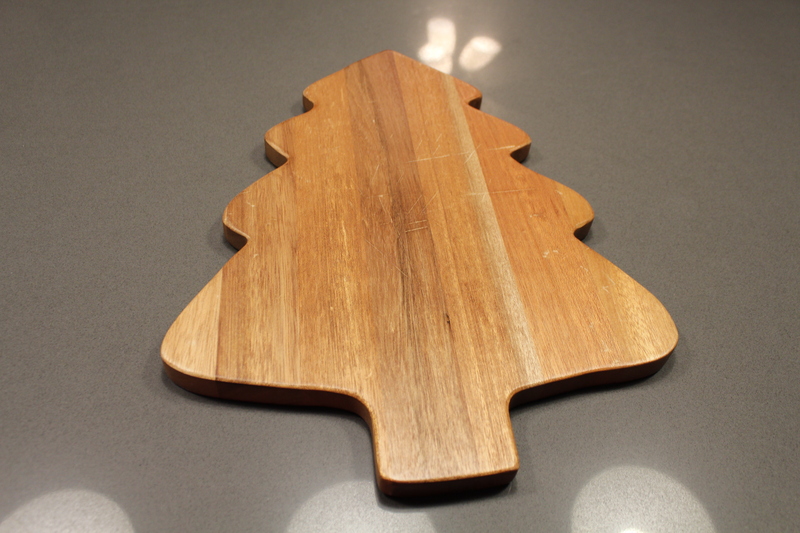 I found this Christmas tree cutting board at a garage sale earlier in the year. It had scratches, but otherwise, was in pretty good shape. 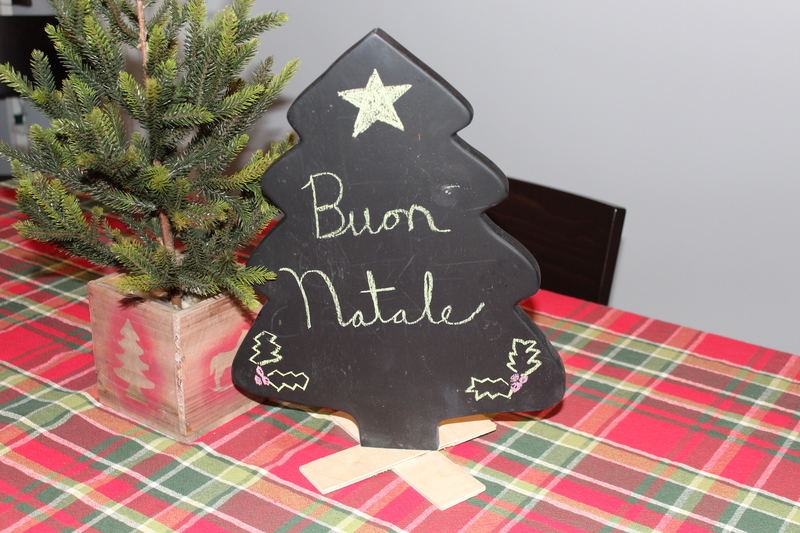 I thought it would look neat as a Countdown to Christmas chalkboard. I debated stenciling the board with paint or paint marker and adding a little square of chalkboard paint to write in the changing number of days for the countdown. But then, I thought the whole tree could become a message board of sorts for the holidays. I ended up asking Dan to use chalk board spray paint on the whole thing. I loved it! You could still see some of the scratches, but I thought it made look vintage. To make the tree stand, Dan cut down the trunk a bit and nailed a couple scraps of wood to the bottom to make a base. I’ll probably change up where it lives in the house and the holiday message throughout the rest of the Christmas season. For now, I’m quite happy with the way it looks.